RMS - the universal monitoring system for professional data monitoring. 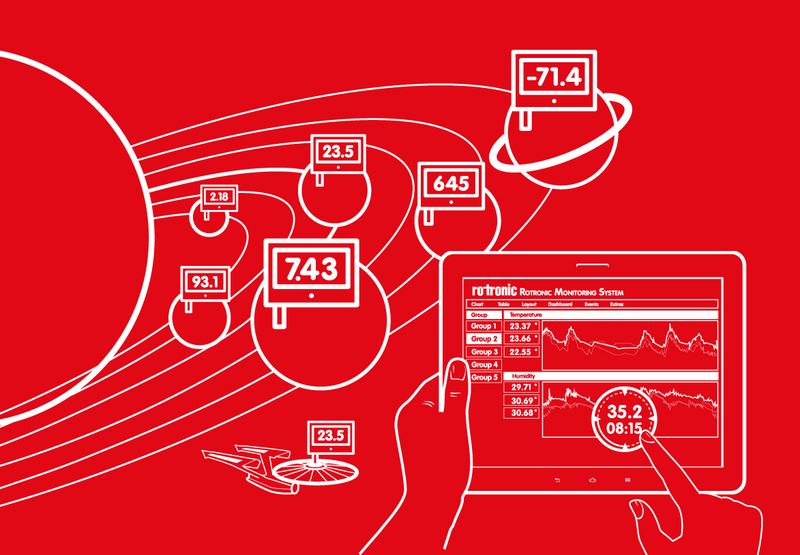 In the Rotronic RMS-Cloud you can access all your recorded data at any time from anywhere in the world. Use the real-time alarm functions to inform yourself about predefined measured values - regardless of which terminal device you wish to use.